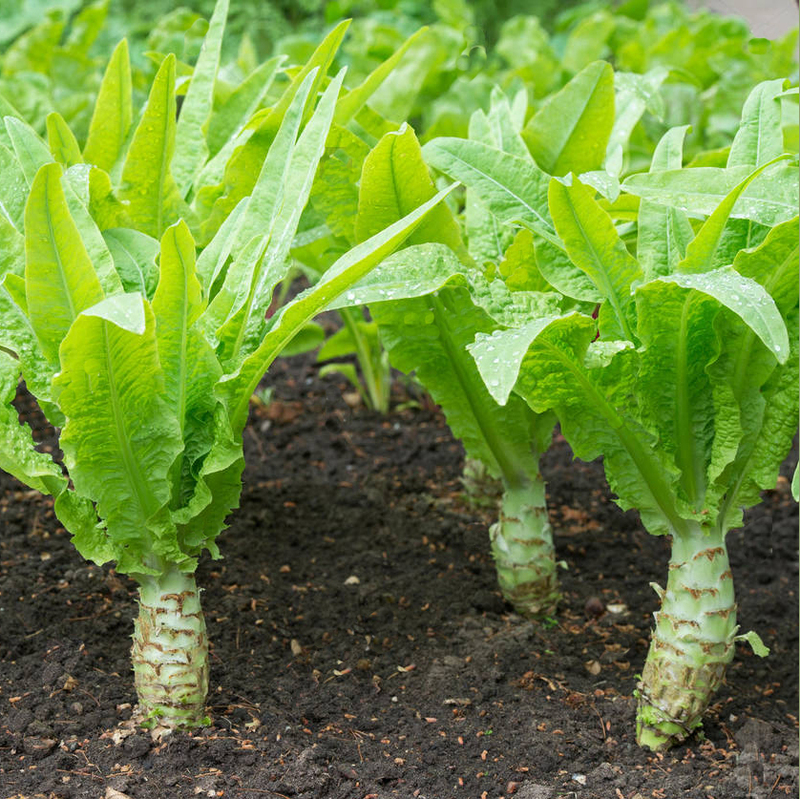 The leaves can be picked whilst young and used like a cut and come again lettuce. As the stem elongates, the rosette formation changes to a small tuft of leaves on the top. The second use is for the stem which has a mild celery-like flavour. Peel off the outer layer and slice thinly. This tastes amazing in salads or can be lightly steamed. 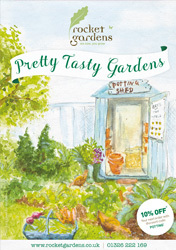 Can be grown in: Pots and containers, grow bags, raised beds. 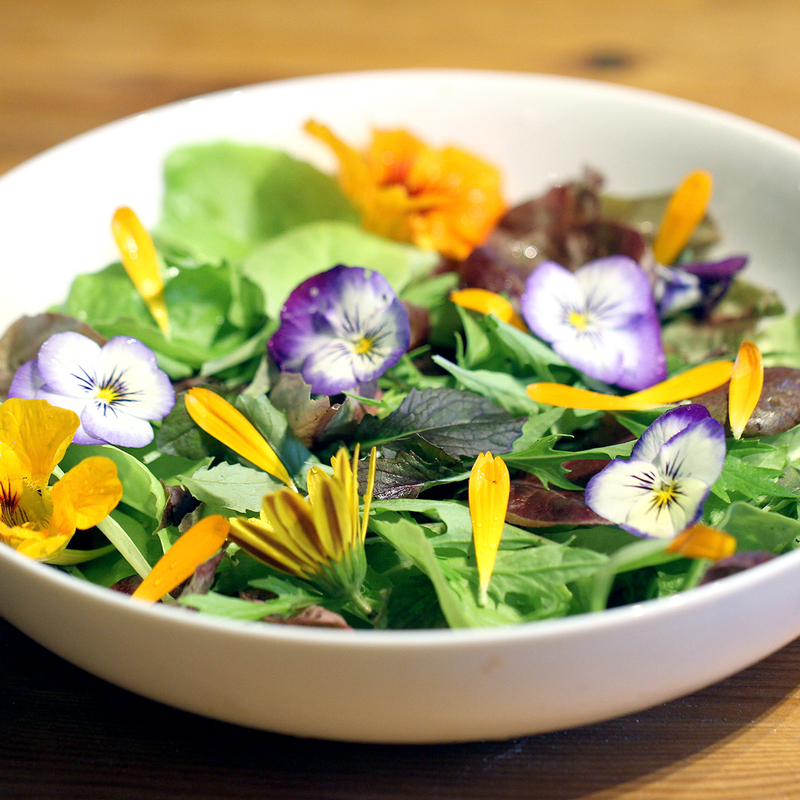 In the kitchen: The leaves can be picked either whilst young or when they have formed a rosette and used in lovely summer salads. The stem can be sliced and either lightly steamed, or added raw to your salads for an amazing flavour and texture. 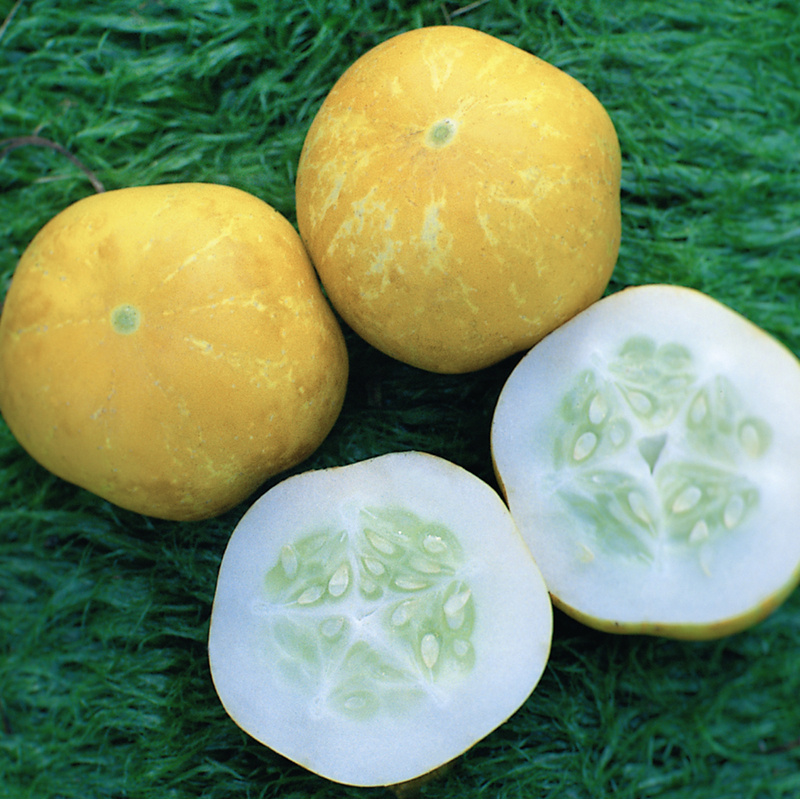 This old-fashioned little round cucumber will produce delightful shaped, pale yellow coloured fruits. With an excellently crunchy flesh, the fruits are juicy, mild and sweet with a fantastic flavour. You’ll be eating the fruits by the end of July. If you keep picking, they’ll go on producing into the autumn, and finish in October. Can be grown in: Planters, raised beds, pots, containers or grow bags. Find out more about growing cucumber in our growing guide below. In the kitchen: Delicious in salads adding a lovely splash of colour. Also great for dipping in hummus and dips. Can be delivered from: Late April to July. Available to pre-order now. These plants will arrive bare-rooted with an approximate height of 10-20cm. 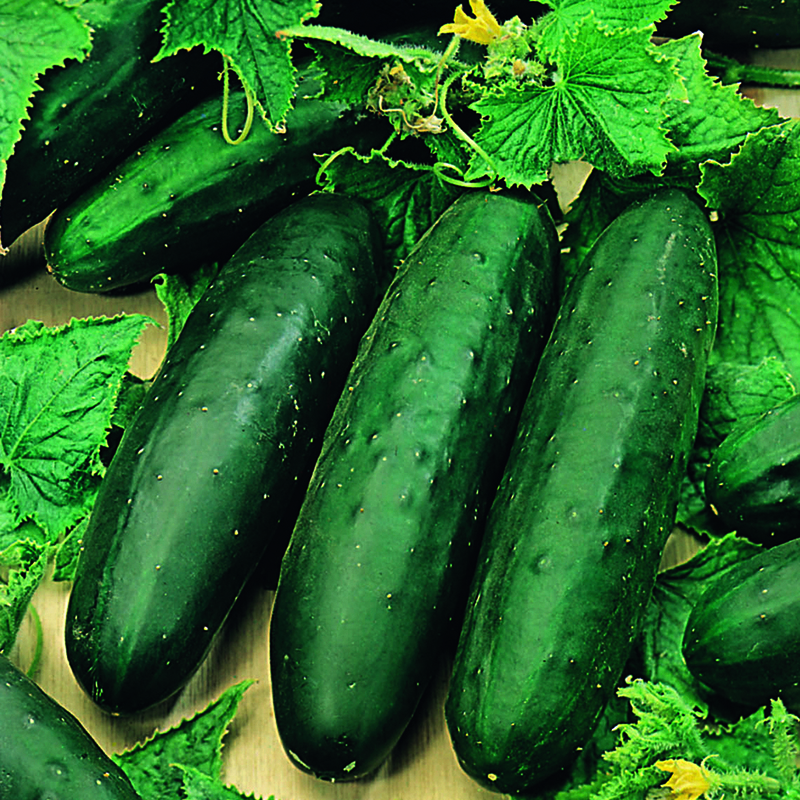 Cucumbers look beautiful when growing and can be grown by even the most inexperienced gardener. This variety produces thick dark green fruits which can reach 20cm in length. In the kitchen: Delicious in salads. Also great for dipping in hummus and dips. Celery is a vastly popular salad vegetable with its crisp sweet stalks. This variety forms bright green stalks and can boast good flavour, and is nice and crisp. Can be grown in: Raised beds, pots or containers. 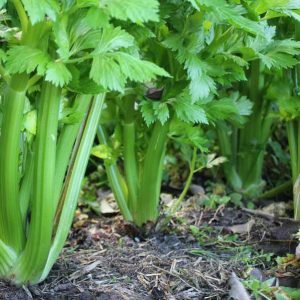 Find out more about growing celery in our growing guide below. In the kitchen: Delicious eaten raw in salads, or for using to dip into hummus. Equally delicious if braised or chopped in casseroles or a fish pie adding a different texture to your dish.